The John Cooper Works Convertible is powered by a 228bhp 2.0-litre four-cylinder turbocharged petrol engine; features a series of styling upgrades. The third-generation Mini John Cooper Works (JCW) Convertible has made its international debut at the New York auto show 2016. The JCW Convertible is powered by the same 2.0-litre four-cylinder turbocharged petrol engine, which produces 228bhp and 32.63kgm of torque, as the John Cooper Works hatchback that was launched in international markets in 2015. The convertible weighs in at 1,310kg, making it 105kg heavier than the current car. This gives the model a power-to-weight ratio of 174bhp per tonne. As with the hatchback, the new convertible gets a standard six-speed manual and an optional eight-speed automatic gearbox. Mini claims its new top-of-the-line convertible accelerates from 0-100kph in 6.6sec in the six-speed manual guise, making it 0.3sec faster than previous-generation John Cooper Works Convertible and 0.2sec faster than the Cooper S Convertible. Meanwhile, the new Mini model is 0.1sec faster with the optional eight-speed auto gearbox. The convertible boasts a top speed of 241.40kph in the manual guise and 239.79kph for the automatic. The John Cooper Works Convertible receives a series of exterior styling upgrades to differentiate it from less powerful versions. These include a uniquely styled front bumper with enlarged air ducts, a red-coloured grille embellishment, revised LED headlights, altered wheel arch cladding, red brake calipers, wider sills, a deeper rear bumper and a pair of centrally mounted chromed tailpipes. As standard, the car sits on 17-inch wheels, but offers the option of 18-inchers. The interior of the car features model-specific sill decoration, more supportive front seats with integrated headrests, a three-spoke multi-function steering wheel, a new gear lever, stainless steel pedals and revised instrument graphics. The next-gen convertible also comes equipped with a raft of electronic driving aids, including dynamic stability control, dynamic traction control and an electronic differential lock. The next model set online replica watches to join the JCW family is the John Cooper Works Clubman. While the internet has been abuzz with news about exotic Italian bike maker MV Agusta filing for bankruptcy, we have official communication from Ajinkya Firodia, MD, MV Agusta India, confirming that the news is baseless and far from the truth. An official press release from Giovanni Castiglioni, President and CEO of MV Agusta Motor, Italy supports the same. MV Agusta is one of the most exotic brands in the world of two-wheelers, and is known for its gorgeous motorcycles that boast top notch quality and refinement. The brand has seen some troubled times in the past as far as its financial stability is concerned, but that clearly is not the case currently, as clarified by Firodia and Castiglioni himself. The brand, Castiglioni claims, has seen exponential growth in the recent past and ended the year 2015 with a 100 million Euro turnover, which is a 30 percent growth in its sales as compared to the previous year, when the market registered a relatively feeble 12 percent growth. As opposed to current reports, the brand is looking at investments to help focus better on its research and development to ensure the strictest quality standards are adhered and also creating new benchmarks in the high end motorcycle market. The investments are also expected to be channelled towards improving MV Agusta’s presence in emerging markets, including India, where the brand is less than a year old. 2015 thus was one of the best years for MV Agusta in its history. The brand has applied for ‘concordato di continuità’ – an agreement of continuity – which, as stated by Ajinkya Firodia can in no way be interpreted as insolvency. MV Agusta entered the burgeoning premium motorcycle market in India with the Kinetic Group, who has partnered with the Italian manufacturer under its Motoroyale brand. It is thus clear that the uber-premium brand is here to stay. We were expecting the production version of the Datsun Redigo at Auto Expo 2016. Unfortunately, our expectations weren’t met, since Datsun had some tinkering left to do with the final version. However, April 14, 2016 will witness the global unveiling of the Datsun Redigo hatchback, followed by a late-May launch. Renault and Nissan have a parts-sharing partnership, which is why a lot of the cars they sell in India are essentially the same, with the differentiator being subtle exterior and interior changes and different badging. The Datsun Redigo is a Renault Kwid under the hood, albeit with very radical exterior changes, and probably some big interior ones too. It will be constructed on the same CMF-A platform as the Kwid, and will be powered by the same 800cc engine mated to the same five-speed manual gearbox. 2. To be "very urban-centric"
According to Trevor Mann, the replica watches UK chief performance officer for Nissan, the Redigo will be “very different” and “very urban-centric”. Unlike the SUV styling of the Kwid, the Redigo will feature a more fluid urban design, replete with a tall cabin, urban-suited ground clearance and great all-round visibility. The kinked glasshouse, flowing silhouette and swept back headlights are all very chic, we must say. While the Kwid is slated to receive a 1.0-litre engine as well as an AMT gearbox soon, the same will not make it to the Redigo anytime in the immediate aftermath of its launch. Seems like the Redigo will be stuck with an 800cc engine and five-speed manual gearbox for a quite some time. Our sources tell us that the Redigo, at launch, will not be as well-equipped as the Kwid. A big omission will probably be the large touchscreen, which is proving to be a USP for the Kwid. It would also be reasonable to expect lower levels of fit and finish, as well as less plush seats. Initially, it was planned that the Redigo would be positioned below the Kwid, undercutting it by about Rs 30,000. However, Renault pulled one over on Nissan and launched the Kwid at a gasp-inducing Rs 2.57 lakh. The Redigo, on the other hand, will be cheap replica watches launched at an estimated price of Rs 2.6 lakh. With a smaller equipment list and lesser brand value than Renault, this price-tag might make things difficult for the baby Datsun. 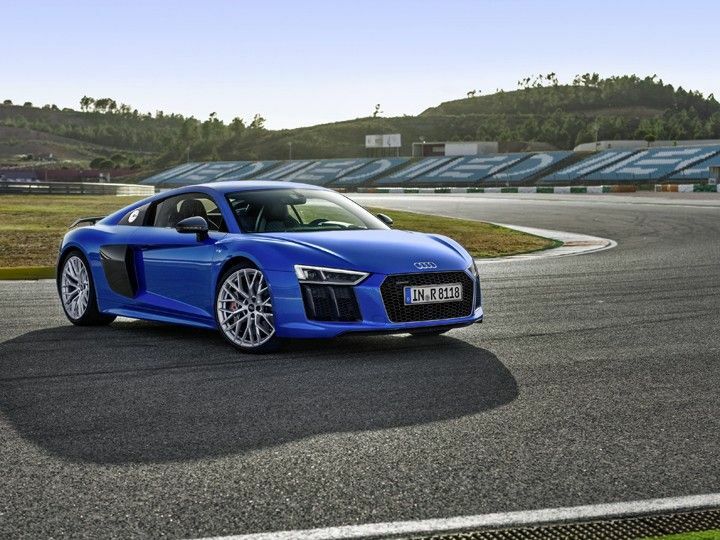 With its fourth title, the Audi R8 is the most recognised car in the history of the World Car Awards. Adding another feather to its illustrious hat, the Audi R8 Coupe was named the 2016 World Performance Car at the World Car Awards held during the recently concluded New York Auto Show, informed a press release. The Audi R8 has become the most successful car in the history of the awards with no lesser than four titles to its name. The predecessor to the Audi R8 already has two World Performance Car awards and a World Car Design of Replica Pocket Watches UK the Year accolade to flaunt for itself. And taking forward the same legacy this year too, the second generation of the high-performance sports car from Audi was voted a unanimous winner in the former category by an international jury comprising 73 leading automotive journalists. 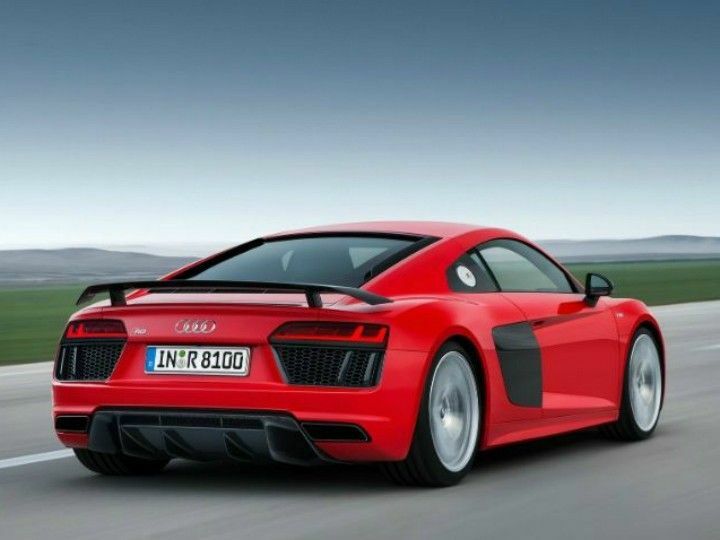 The brand with four rings took the wraps off the Audi R8 V10 Plus at the Auto Expo in Delhi last month. Launched in India at a sticker price of Rs 2.47 crore (ex-showroom, Mumbai and Delhi), the car is powered by a modified version of cheap replica watches UK the 5.2-litre V10 engine. In this guise, the car churns out 618PS of peak power and 560Nm of torque, and can do the 0-100kmph dash in 3.2 seconds. The engine is mated to a seven-speed dual clutch transmission. The current accolade for the German carmaker adds to an already boast-worthy trophy cabinet from the World Car Awards. Apart from the Audi R8’s success, the Audi A6 was awarded the World Car of the Year title, back in the year 2005. The Audi RS 4 and Fake Watches UK the Audi TT have also been winners in top categories at the previous editions of the World Car Awards. The new coupe-SUV will be Land Rover’s first road-biased model; will rival the likes of the BMW X6. Range Rover’s next all-new model is expected to break the brand into the Coupe-SUV segment with a sportier road-biased luxury crossover set to take on the likes of the BMW X6. The new model, codenamed L560, could be named Range Rover Sport Coupé. The Sport Coupe is expected to share its chassis with the new Jaguar F-Pace with the crossover expected to measure in at around 4.7 metres in length making it smaller than the BMW X6 and closer to the BMW X4 which sits at 4.6 metres. The price tag though is expected to be closer to the former than the latter. The Sport Coupe is expected to sit between the Range Rover Evoque and the Range Rover Sport in the company’s line-up. The interior of the crossover is expected to be designed around a four-seat layout with the company possibly offering a 2+1 rear seat with a fifth seatbelt as an option with a third row being ruled out. The cabin will be more like a ‘cockpit’ than any previous Range Rover and feature a dramatic sloping roofline and tight rear overhang. The rear doors will be reduced to minimal openings in the search for the most elegant styling possible, while the luxury-quality interior is understood to introduce new materials and finishes. Under the hood, the new Range Rover Sport Coupe will feature Land Rover’s range of six and eight cylinder petrol and diesel engines though it is not confirmed if the model will use the new four-cylinder engines from the Jaguar F-Pace. It could also feature the all-electric powertrain that JLR is developing for its I-Pace EV, which should be seen next year. Range Rover is also expected to offer a hybrid powertrain likely based on the 340bhp 3.0 SDV6 HEV in the Range Rover Sport. The company could also be sale replica watches UK looking to use its most powerful 542bhp, 5.0-litre supercharged V8 as a range topping SVR model with the engine giving the new Range Rover model a considerable advantage over its rivals with the SUV likely to weigh in at around 1800kg – 400kg less than its rivals. The new Coupe-SUV from Range Rover is replica watches online expected to make its public debut sometime next year.